Xylophanes tersa - Hodges#7890 (Tersa Sphinx). Size: approx. 60-80 mm. Photo: 09/03/11, 8 pm. Another large moth. 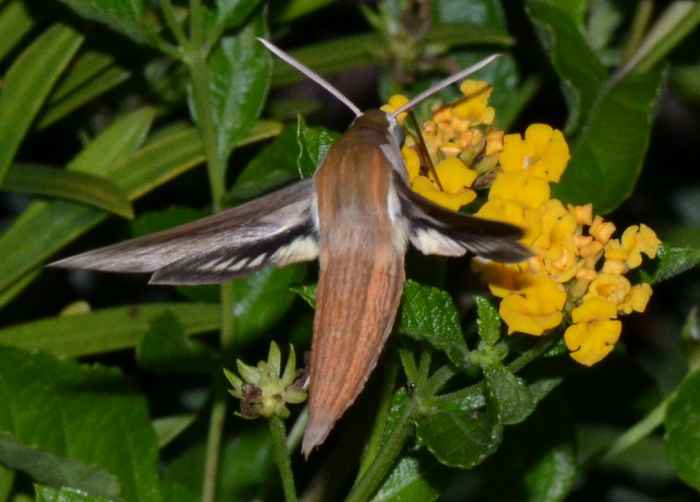 This is a Tersa Sphinx (Xylophanes tersa). Adult moths have a pointed abdomen and contrasting black and white markings on the hindwings. Also the snake-like caterpillars are very interesting and feature one large eyespot and six smaller ones. Phanes is a mystic primeval deity of procreation; xylo means wood.